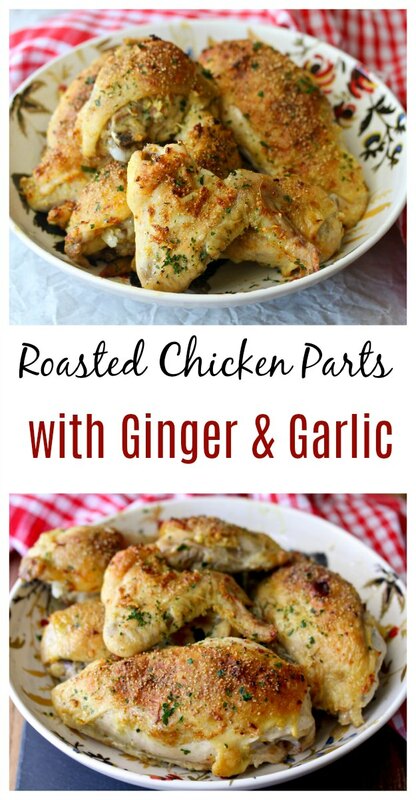 These Roasted Chicken Parts with Ginger and Garlic are an example of how you can take a whole chicken, cut it into pieces, and create a quick and delicious main course. For these roasted chicken parts, I cut up a whole 4 pound chicken. While buying cut up chicken parts is a time saver (and, believe me, I do it all of the time), cutting up a whole chicken yourself is worth it because you get to use the chicken back to save for later and create amazing chicken broth. Also, by cutting up a whole chicken, you get a higher quality bird (and that extra bonus of the chicken back). Every time I buy a whole chicken to cut up, I turn to YouTube and watch Melissa Clark of the New York Times demonstrate how to cut up a whole chicken. My husband thinks I'm nuts, but it works! This roasted chicken with ginger and garlic also includes Chinese Five Spice, as well as the zest of an orange. I also topped the chicken with some freshly ground white pepper. 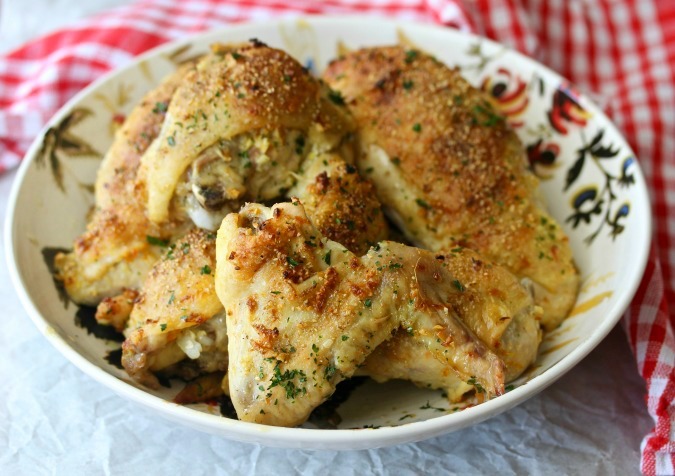 These Chinese-Style roasted chicken parts were fabulous for a quick weeknight dinner. I also took the leftovers to work for lunch. The aroma of garlic wafting through the office drove everyone nuts (in a good way) when I reheated this chicken in the toaster oven. 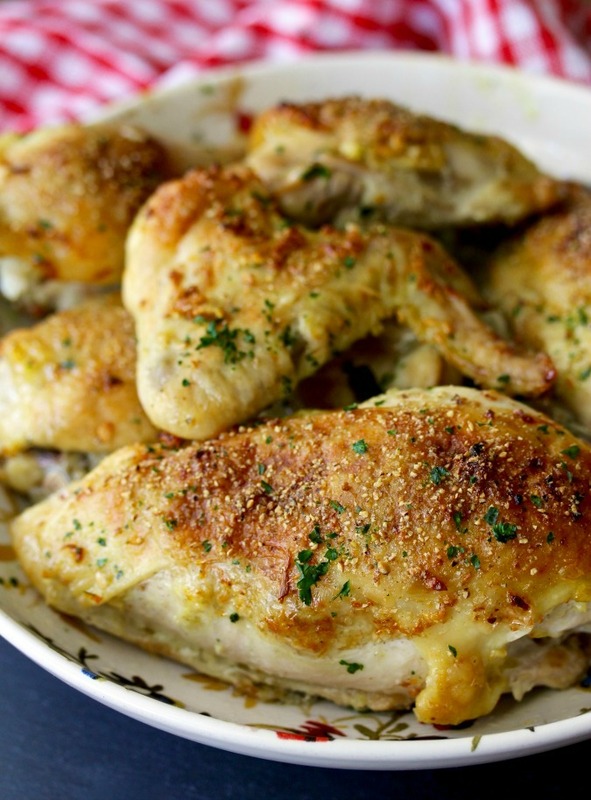 This recipe is adapted from Kitchen Matrix: More than 700 Simple Recipes and Techniques to Mix and Match for Endless Possibilities. It's a collection of all of his Matrix themed columns from the New York Times. You can get the recipes on the NYT website, but this cookbook pulls them all together. Camilla of Culinary Adventures with Camilla is cooking her way through the book, and she has invited her friends to cook along with her. Keep an eye on her blog every Tuesday for a new post about the book. Make a paste of the garlic, ginger, Five Spice Powder, the orange zest, and olive oil. I used a mini food processor. 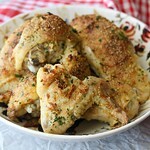 Rub the paste under the skin of the chicken pieces, and drizzle the tops of the chicken pieces with olive oil. Sprinkle the chicken with salt and freshly ground white pepper. Roast the chicken for about 30 minutes, until the juices run clear. Tent with foil and let the chicken pieces rest for about 10 to 15 minutes until serving. I think it's so funny that the 3 of us went with the Chinese flavors. We all have excellent taste! I love how simple and delicious this is!!! Thanks for posting this week, Karen. It was very tasty, wasn't it? I like the sound of this! Still simple, yet tasty I'm sure.